Hi my name is Jacob Miller and those two beautiful kids in the photo are my children. 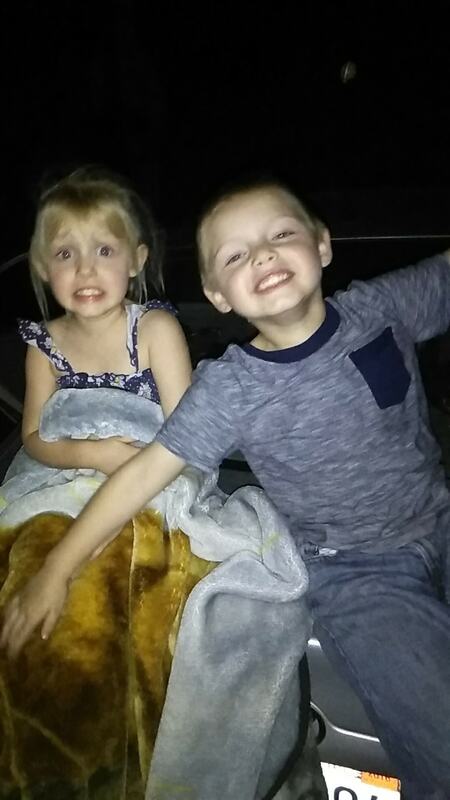 Maddox and Kaydence are such amazing and happy kids and just by looking at them you can't tell that they and myself have been through so much. You see 1 year ago I took on the responsibility of caring for them on my own with very little to no help from thier mother, but since she has been more involved. As a result of this I became use to being able to be there for them whenever and for whatever they needed. 10 months later I was let go by my employer which then led to me losing my apt. I thought I would be able to get right back in to the workforce and rise to the top of the white collar ranks just as I had done before...... I was wrong..... very very wrong. I became homeless with 2 kids..... I had failed them and it was the worst feeling I've ever felt. I swallowed my pride and asked thier mother if she could take them in because she recently was able to get a apt with help through the state and her new boyfriend. She was reluctant at first but quickly realized how serious I was and the severity of the situation. That was 2 months ago, I have applied for literally thousands of jobs, and have had dozens of interviews but no luck. I eventually took a job in merchant services which was 100% Commission and 100% not my greatest idea. I'm waiting on a unemployment settlement since I was denied but that could take months. And I just applied for welfare 3 days ago but won't find out if I qualify until Monday even then I'm only guaranteed the bottom dollar for EBT and financial aid. But get to the reason why I am here at 9pm on a Saturday night once again swallowing my pride. I'm still homeless and my ex just left for Oklahoma for ten days and I have my children. I could of said no but I love my children and I arranged it out with some family friends and others as to where we could stay at thier places. I really have no other options being with no money or home of my own. I just don't like staying in someone else's home. Dont get me wrong it's better then nothing but it's just not fair to my kids as to they don't understand why they don't have a home to go to with thier dad to well call theirs. I'm just looking for enough money to get a hotel or motel room for 2 weeks and maybe give my kids a few presents from this dad . I have a pending job offer or so I hope so but that isn't going to help them with having a place of their own or give them a the Christmas they deserve. They look up to me and think I'm a freaking superhero and I don't want then to think their father couldn't get them anything or that he isn't the superhero they thought he was. I don't need the $1,000 the goal says. I just need to know they are happy and that they know I love them more then anything in this world.... and sure a hotel room and presents may not do that but it definitely makes a difference.